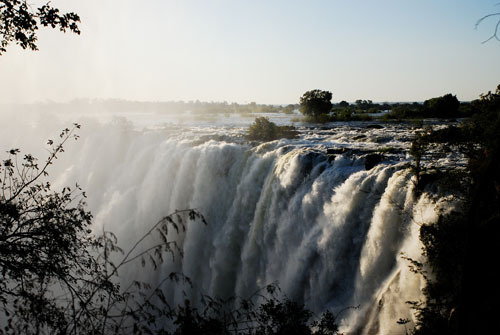 Tammay and I travelled from Heathrow to Johannesburg where we transferred to a flight on to Livingston in Zambia. We arrived in Livingston on Sunday 13th May 2007. 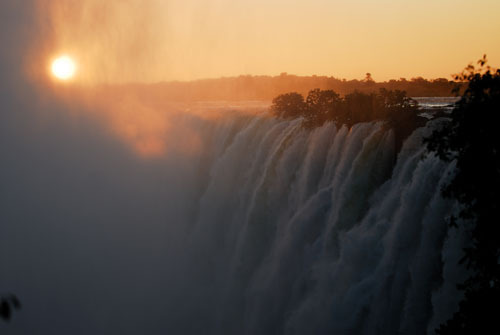 We spend our nights in Zambia at The Natural Mystic Lodge. 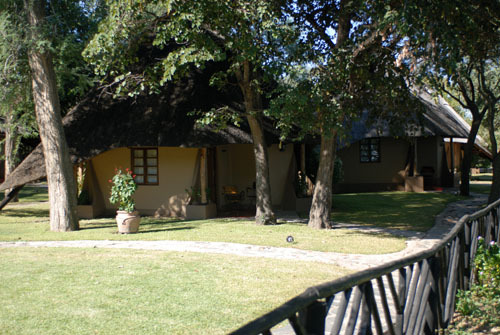 The hotel, and our room, were located right on the banks of the Zambezi, just upstream from the Victoria Falls. During the evenings we could hear the hippos in the water nearby. 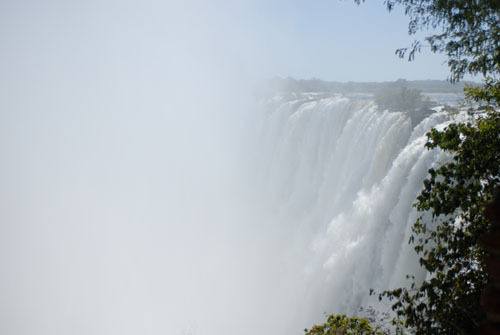 Monday 14th May, we took a taxi from our hotel to the Victoria Falls. 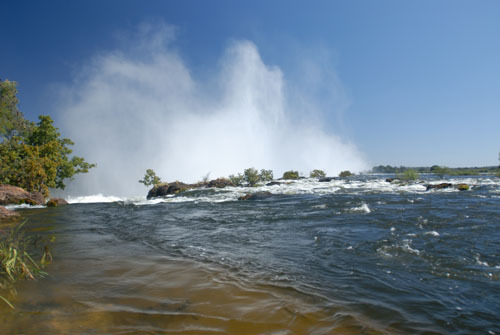 This is a view of the Zambezi, just as it reaches the falls. 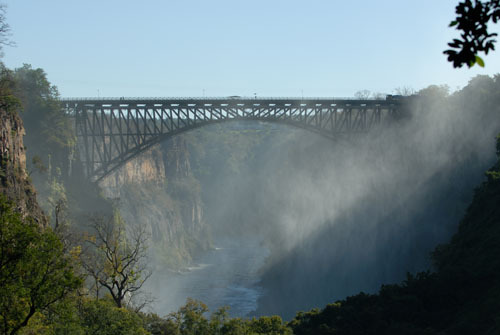 Spray from the falls can be seen rising above the river. 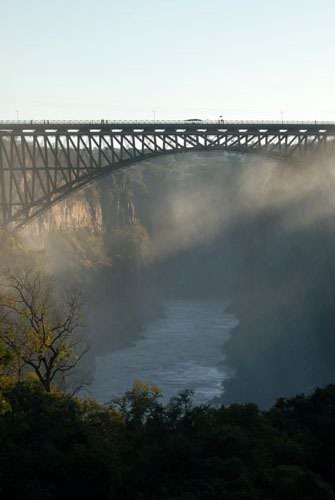 Just after the falls, the Victoria Falls Bridge crosses the Zambezi from Zambia into Zimbabwe. 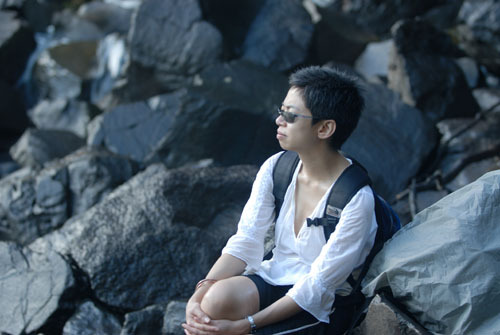 View a short video from the bridge. 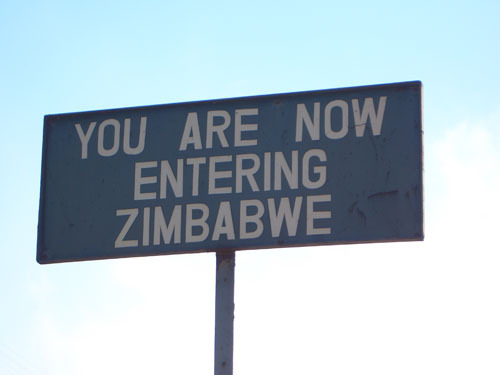 We crossed the bridge and entered Zimbabwe. 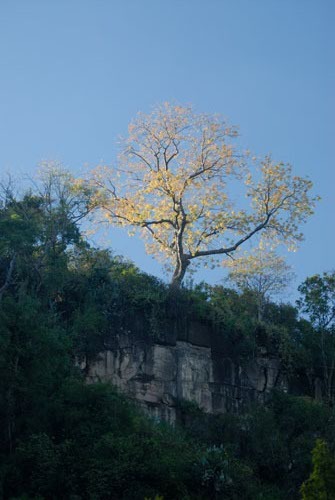 Tammay on the bank of the Zambezi. 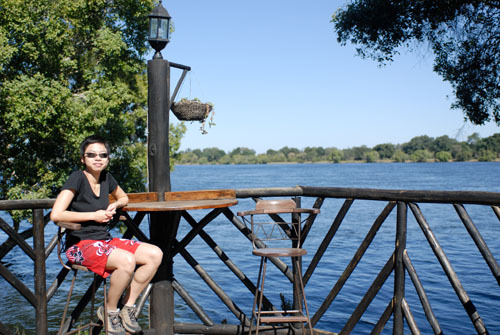 We made the short walk to the Zambezi Sun hotel for lunch. It was hilarious to watch hotel staff throw stones at the monkeys as they try to steal food from guests around the pool. The monkeys were far too quick! 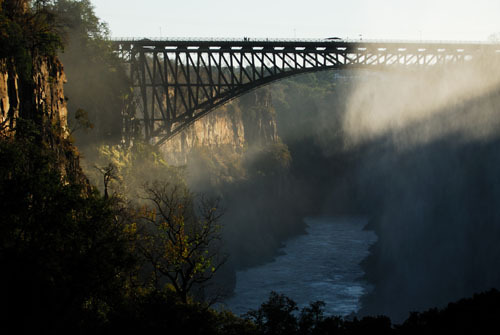 We walked down through the trees, from The Victoria Falls to the edge of the Zambezi below the falls. 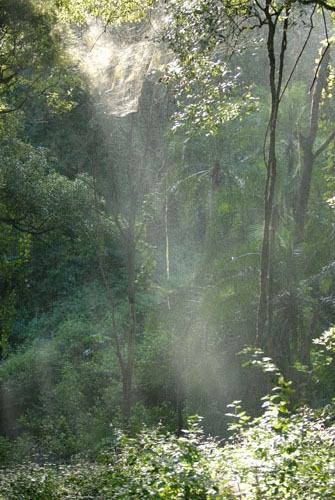 Sunlight passed through gaps in the canopy, illuminating huge spider webs and lighting up the forest floor. 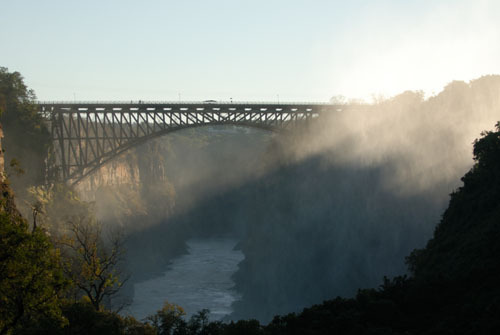 As we descended we could see the Victoria Falls Bridge. 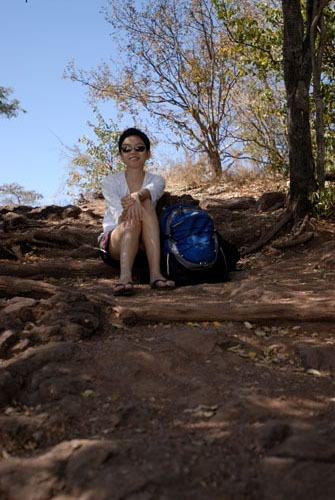 Tammay on the bank of the Zambezi. 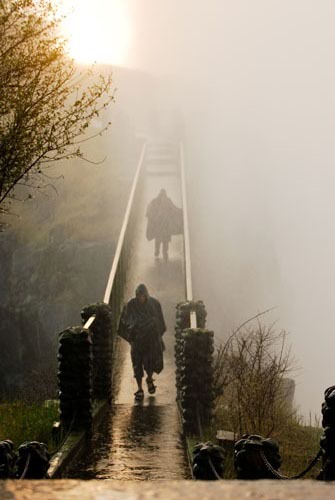 By the time we headed back up the path, the sun was noticably lower in the sky and caught the clouds of mist that billowed away from the falls below. 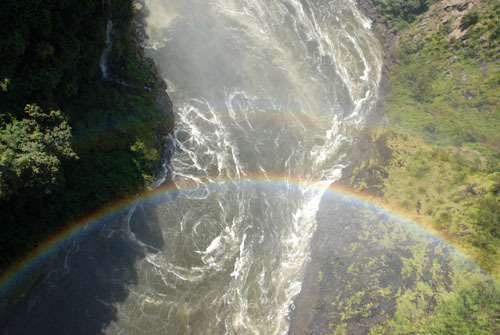 The Zambezi basin experiences its rainy season between approximately November and April with the peak flow over the falls occurring around April, so we were there just after this had passed. View a short video of the falls. It was a little difficult to keep dry, although it doesn't stop some people trying! 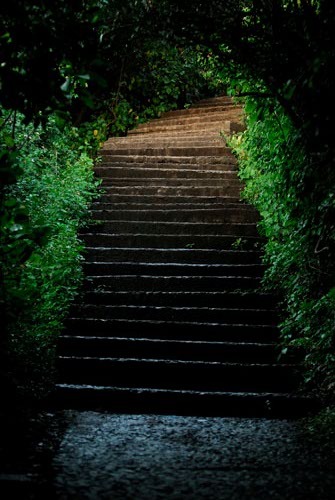 Others just give up and go with it. 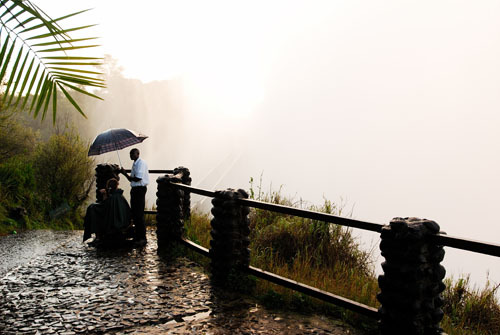 We stayed at the falls for sunset, watching the sun disappear behind the mist. 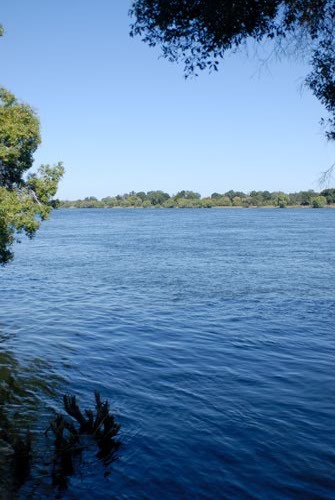 Tuesday 15th May, we left Zambia, crossing the Zambezi in a small motor boat. 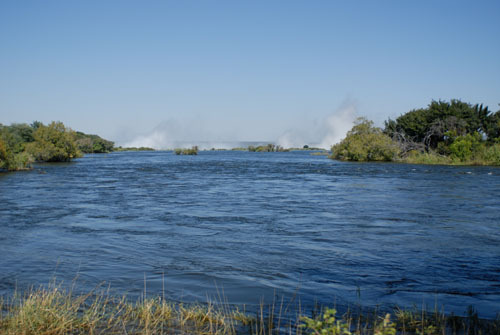 Half way across the river we passed through the point where the borders of Zambia, Zimbabwe, Botswana and Namibia all meet. We went on to spent 11 nights on safari in Botswana.